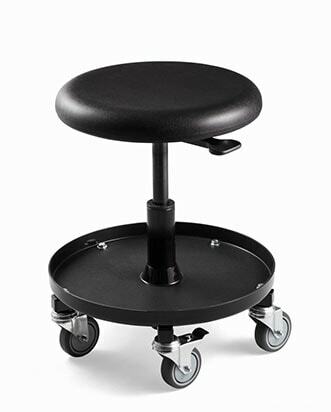 The Maintenance Repair Stool Series includes workflow conveniences like a tool tray underneath the durable polyurethane seat. 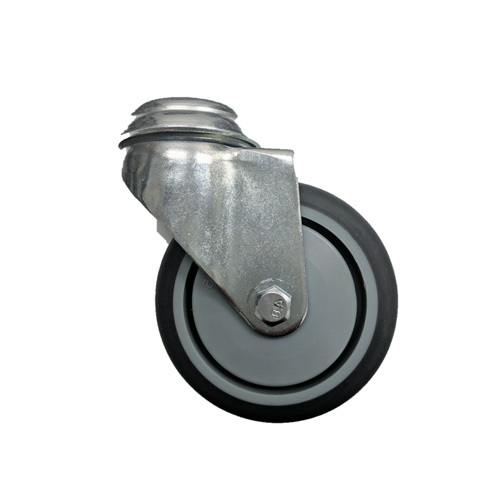 The sturdy, five-legged steel base rolls on five 3” polyurethane casters (2 casters include locking brakes). 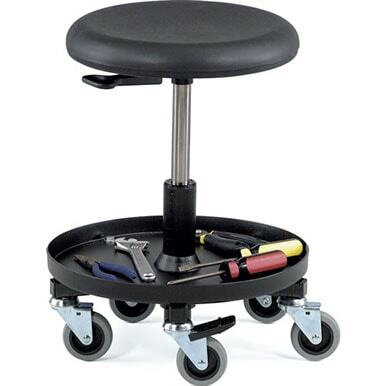 The durable construction, easy height adjustment, and comfortable wide swiveling seat are key features that make our Maintenance Repair Stool Series an ideal choice for use in machine shops, warehouses, and industrial applications—anywhere users bend or crouch down to complete their work. 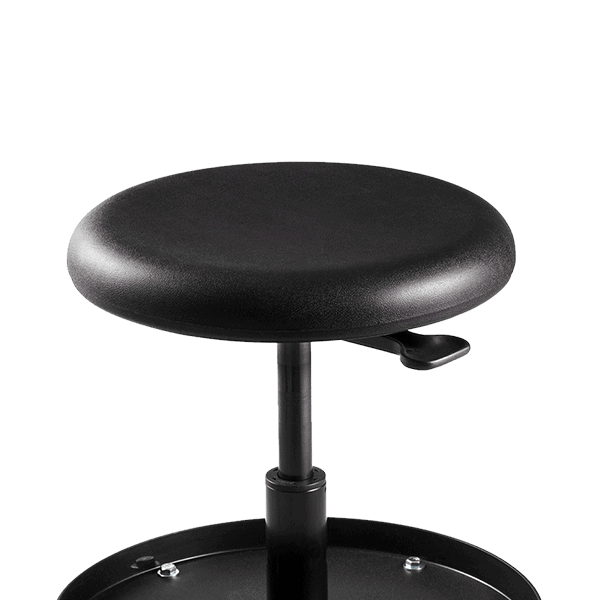 Each BEVCO Maintenance Repair Stool is handcrafted in our Waukesha, Wisconsin manufacturing facility. Make your selections from the drop downs to create a SKU number for a quote.